Perform a variety of tricks using everyday objects. 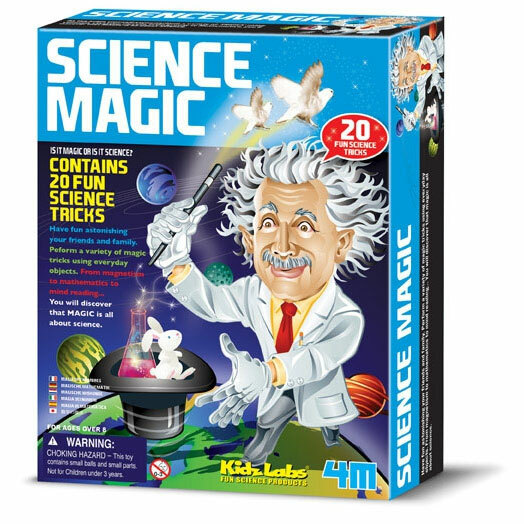 From gravity to math, you'll discover that magic is all about science! Includes a variety of objects for tricks plus 24 page instruction booklet with fun explanation. 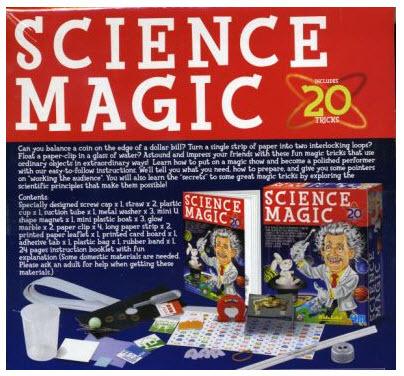 A great variety of scientific tricks in one box. You use everyday objects in an extraordinary way to show scientific principles. Can you let a paper-clip float in water? Learn this and much more! A 24-page instruction booklet in English is included. For scientists of 8 years and older.